The Artistic Director of Royal Academy of Dance Asks: What Is Good Dance Teaching? This is a charged question that I have heard debated my entire career as a dancer, teacher and director. So why would I pose such a contentious question? Because good dance teaching is at the heart of the RAD and a core value we need to be able to define. I hope this will also promote healthy discussion between all of you who teach every day. Obviously, a fundamental understanding and experience of the subject to be taught is essential, but academic knowledge alone does not make a teacher. Successful teaching is about how we share our knowledge in a way that allows others to understand to become better practitioners. How well we can dance is less important than how effectively we can help our students to improve. The RAD has strong foundations on which to build, but as the world around us evolves, so has ballet. How do we equip our dancers to be successful in ballet today? 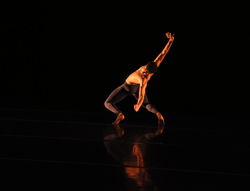 Dancers must be open to new ideas and be able to adapt to a wide range of styles. They must be fully aware of how and why they make certain choices, and the results of those choices. The RAD examination syllabus is well-documented, and systematically details age-appropriate enchaînements that all dancers will demonstrate in an exam. But it does not purport to be a training syllabus; training is the alchemy that takes place daily in studios around the globe. At its core, dance is about movement and expression, so developing a technique that frees us to move and be expressive is essential. Ballet has its rules and traditions, but our technique must build upon natural functional movements and not discourage them; to expand abilities and not confine them. There is no magic bullet; every teacher and student is an individual, so there can be no single way of teaching that will suit all. Every "right way" of executing any move will have positive and negative effects we need to be aware of. We have to be mindful of the range of tools available to us and choose which to use for the symptoms we need to remedy. One valuable tool that we can all make great use of is music. Movement is often inspired, and should always be influenced by, the music. It is important that dancers hear the music, its phrasing and interpretation, and allow this awareness to color their interpretation and physical movement. Extensive research in athletics has shown the value of cross-training, and we can learn from these advances, but it is not all about strength. Relaxation between tensile movements is just as important as the strong moves we wish to show. Stretching and strengthening are not odd bedfellows, nor are discipline and creativity. Ours is a nuanced artform and naturally fluid. I hope I have opened the floor to reflection and debate, and I encourage you to declare what you believe in. For more on RAD go here.